Happy now and happy hence! Fiasco Theater's acclaimed revival of Stephen Sondheim and James Lapine’s Into the Woods will launch a national tour in 2016. 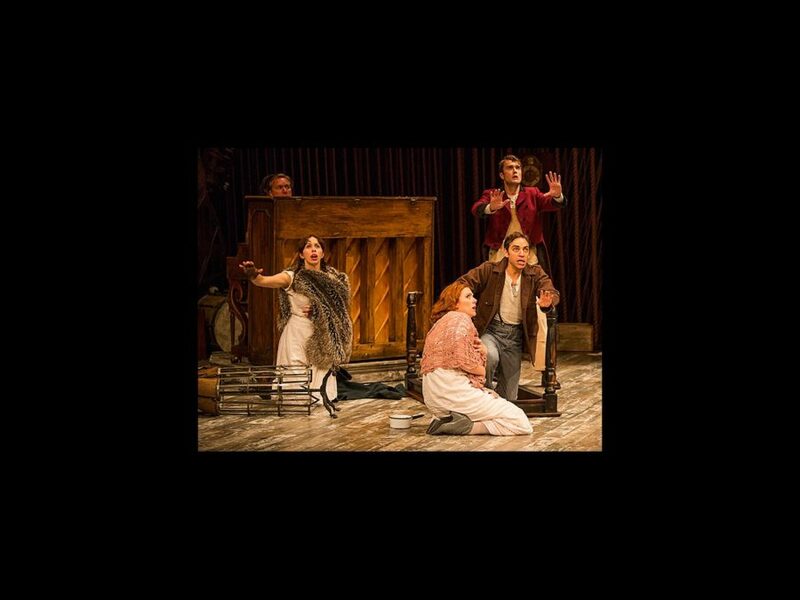 Directed by Noah Brody and Ben Steinfeld, Into the Woods extended twice at Roundabout Theatre Company's off-Broadway Laura Pels Theatre earlier this year. Casting and official cities and dates for the touring production will be announced soon. The beloved re-imagining of fairy tales centers on a childless Baker and his wife, who embark on a quest to find the four items required to break a witch’s spell: the cow as white as milk, the cape as red as blood, the hair as yellow as corn, and the slipper as pure as gold. The new production ditches the original orchestrations for a single piano, with the performers chiming in with everything from a bassoon to a waterphone. The recent film adaptation of Into the Woods, directed by Rob Marshall and starring Meryl Streep, James Corden, Emily Blunt, Johnny Depp, Chris Pine, Anna Kendrick, Billy Magnussen and more, received three Academy Award nominations and grossed $204 million worldwide.